Home >> Generated from JAN's SOAR Information System on 4/21/2019 12:46:42 AM. 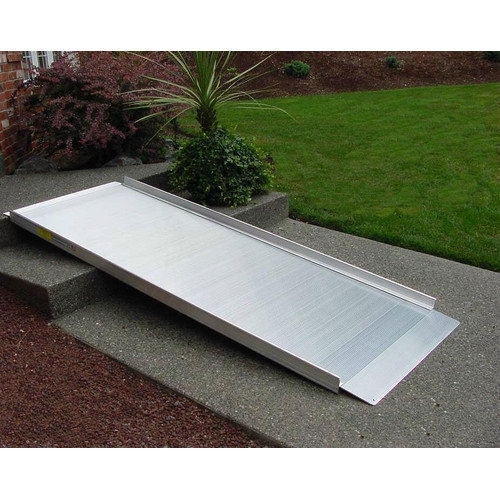 Designed for safety and engineered for reliability, the PATHWAY® Classic Series portable wheelchair ramp is a smart alternative to costly wooden ramps. When mobility needs extend beyond the scope of a conventional portable ramp, this ramp is your answer. Can be easily moved or relocated as needs change. Designed for the rigors of repeated, everyday use in all weather conditions. Made of aluminum and features an extruded non-skid surface. Select sizes are available with optional handrails.